Carbon Steel Bright Zinc Plated. Excellent for sealing hoses against loss of liquid. Clips have a 9mm band width. Apply to securing hoses, pipe, cable, tube, fuel lines in home applications, automotive,industrial, boat/marine etc. 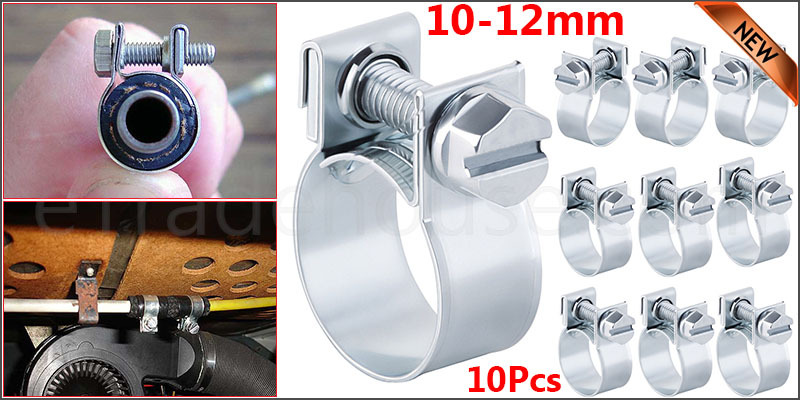 Hose clips assorted made of Heavy Duty Carbon Steel Material, Sturdy and Durable, Anti-Rust and Anti- Corrosive. Measurement is the Ø diameter of the clip.